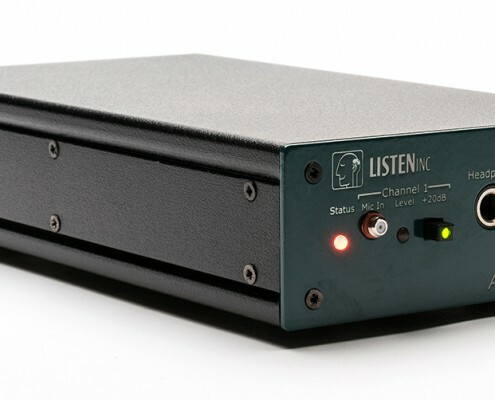 Audio Testing Hardware – Listen, Inc. 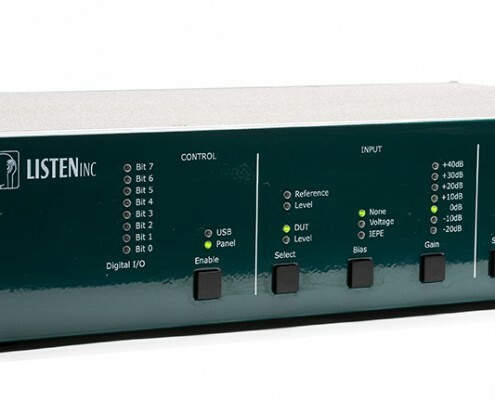 Listen offers a complete range of audio test hardware to go with your SoundCheck software to make a turnkey system. 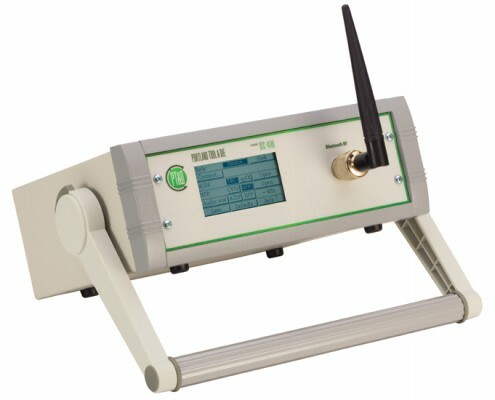 AmpConnect ISC: USB Controlled integrated Hardware: AmpConnect ISC combines an audio interface, impedance box, amplifier, microphone power supply and digital I/O card in a single unit to simplify setup and minimize errors. 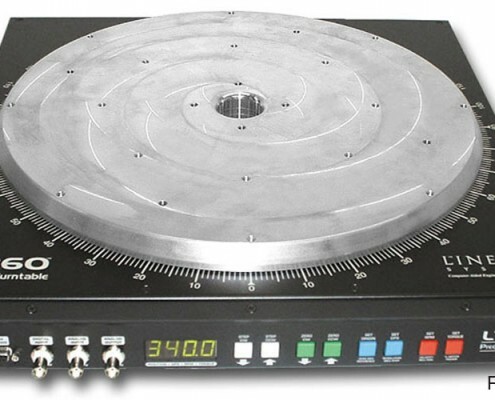 This is the most cost-effective approach for most loudspeaker, headphone and microphone tests. RME: Alternatives to Listen Soundcards for those who require many channels. 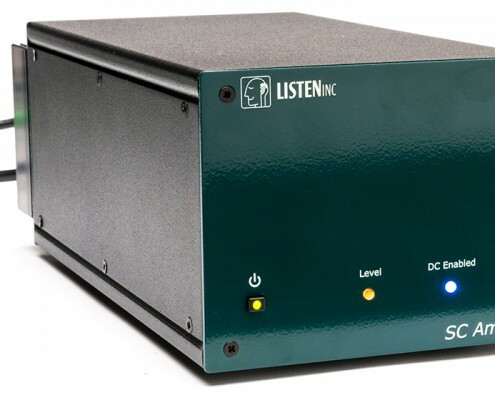 SC Amp Audio Test Amplifier: SC Amp is the world’s only dedicated audio test amplifier, with features such as integrated impedance measurement, fixed gain to reduce calibration errors, and DC voltage offset support. 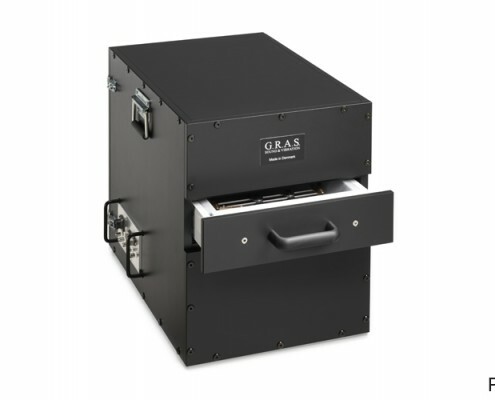 It offers low distortion and a low noise floor. SoundConnect microphone power supply: SoundConnect is a single channel microphone power supply with an excellent signal to noise ratio. 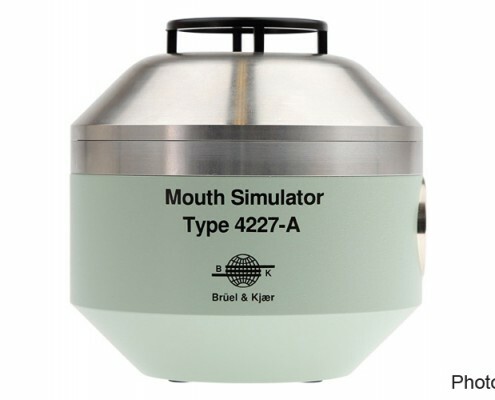 It powers one SCM/electret microphone and is also available with a 200V polarization option. 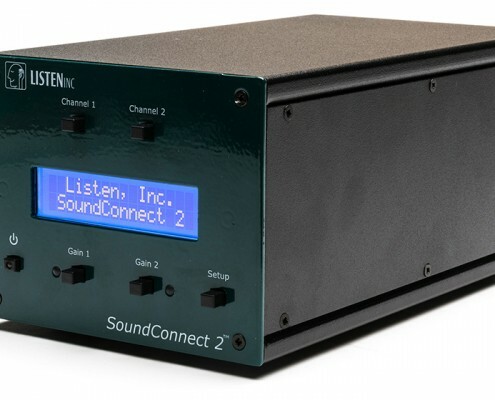 SoundConnect 2 microphone power supply: SoundConnect 2 is a TEDS compatible dual channel microphone power supply with low self-noise and a wide frequency response. 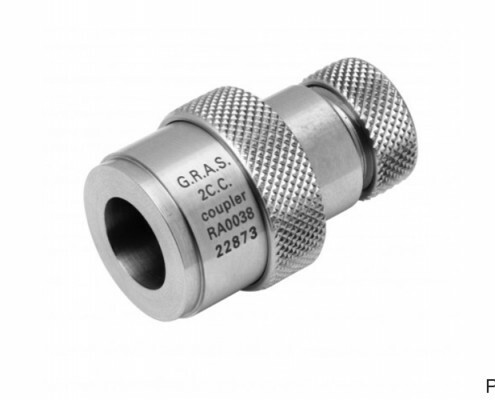 It powers 2 SCM/electret or IEPE microphones or accelerometers, and is available with a 200V polarization option. 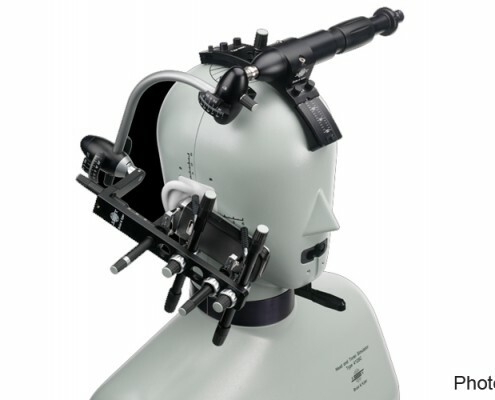 SCM Audio Test Microphones: SCM Measurement microphones are robust, accurate, stable, and offer excellent directional response in both near and far field. They are available in 2 lengths. MEMS microphone Interfaces: Interfaces for measuring and characterizing MEMS (Micro-Electro-Mechanical-Systems) microphones and other devices with a 1-bit PDM (Pulse Density Modulation) output.